After wearing my white blouse with my Titanic costume to C2E2 this Spring, I saw how see-through it is- my slip shows from underneath. This wouldn’t really be an issue but I used a lot of the lace I already had on hand so I ended up putting a lace with some brown in it at the top of the slip so it really shows. Hence, the desire to make another blouse to go with my Titanic skirt. I do love that skirt. I like the idea of making a sleeveless blouse for this costume of mine since most of the time I’d like to wear my jacket. I also don’t mind wearing a sleeveless blouse with this costume, making it more relaxed period-wise. I also read another review from Cassidy who also worked with E0191 where she showed a vintage blouse that uses a waist tape sewn to the back of the blouse so you can then tie it in the front to create the gathers. A nice touch if you want the blouse to work for your waist despite any fluctuations. 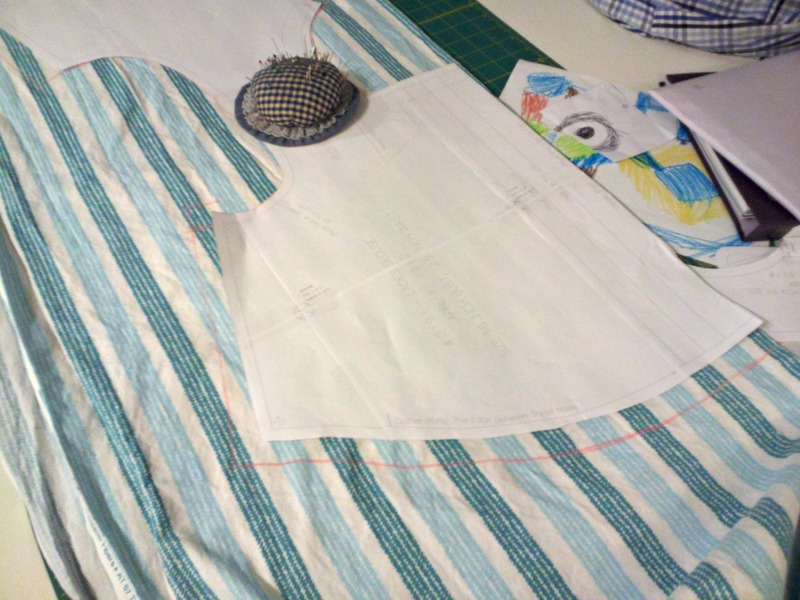 I started with the pattern alterations. I decided to only add to the side seams and the front length. I think I’ll like the collar if it’s detachable. Right now I’m just not convinced that I’ll like it on. 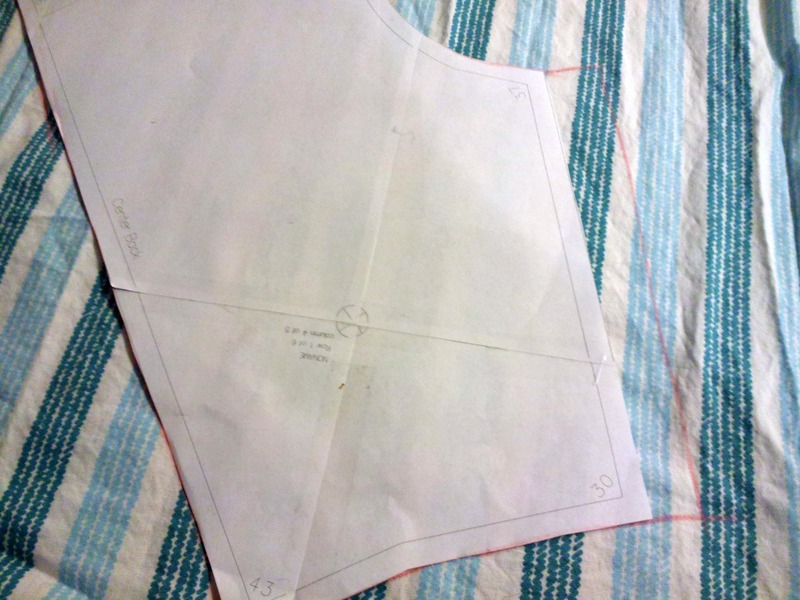 I’m also going to either do a side zip or a back zipper. Oh, I love the stripes – they really add interest to the yoke! I can’t wait to see it finished! It will be perfect with your skirt. Wow and Wow. 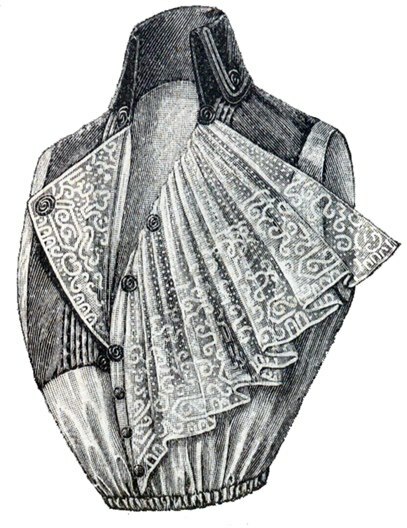 I have always wanted to to period clothing, but can never justify the time, expense, and really, where would I wear it? I confess to wishing we still had to wear full skirts as women because I LOVE long skirts. This is going to be just beautiful!